Admitting ”hiccups” in India’s Indigenous Aircraft Carrier (IAC) project, Navy Chief Admiral Nirmal Verma today said the 40,000-tonne warship could not be launched this year because of delays in supply of equipment, but it would be ready for sea trials by 2014. The IAC was to be launched this year and because of some indigenous equipment that could not be supplied on time the launch has been delayed. We are expecting it (launch) by the middle of next year, as things stand,” he said at the annual press conference ahead of Navy Day on December 4. “But at the same time, efforts are on to compress the time frames by ensuring that the amount of outfitting on the warship is much more than earlier envisaged, so we cut down on time. We expect to put it out at sea by 2014,” he said. The Navy Chief said since India was building an aircraft carrier for the first time, a lot of trial and error took place during construction.”We should graduate to sea trial stage where one can say …the target is 2014,” he added. On the Navy’s future acquisition and capability enhancement programmes, Verma said there were 36 ships and submarines on order in various Indian shipyards and that these programmes were largely on track. “Vikramaditya’s induction has been delayed due to increase in the scope of work, which consequently led to unavoidable upward revision in price. But, there has been progress in the past few months. All efforts are being made to ensure ‘Vikramaditya’ will be delivered to us by December 2012,” he added. Verma pointed out that India’s first stealth frigate INS Shivalik had been commissioned and two more ships of this class would be commissioned soon.”Other projects in pipeline are Kolkata class destroyers, four advanced anti-submarine Corvettes and six Scorpene class submarines, four modern fast patrol vessels and a sail training ship are at various stages of construction,” he added. In the Shivalik class, MDL will be delivering the second ship in the line to the Navy in a few months from now.He said orders for five Offshore Patrol Vessels and two cadet training ships had been placed at private shipyards. “We had smaller ships being constructed, but in terms of size, this is a first as far as Indian Navy is concerned (to be built at a private yard) and we have told them to deliver on time and within costs,” he noted. Anybody know what is the status on this project. How come we dont get the snaps like the Chinese do. It is an aircraft carrier, and something hard to hide for god sake! 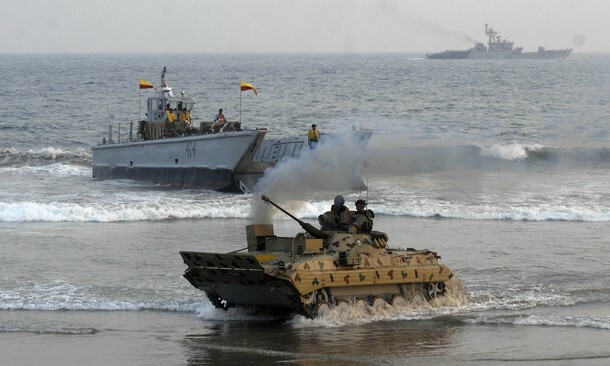 Indian Navy chief Admiral Sureesh Mehta said Wednesday. The under-construction aircraft carrier will be ready in two years. "Our indigenous aircraft carrier is being constructed in Kochi. It has been three years since the work started. On Feb 28, what we call keel laying of the carrier will take place," Mehta told reporters here. The building of a ship can be divided into seven phases: design, construction planning, work prior to keel laying, ship erection, launching, final outfitting, and sea trials. "Many of the parts have already been constructed. My estimate is that it should be in the water in two years," Mehta said. The aircraft carrier is expected to have 40,000 tonne displacement capacity at an estimated cost of 3,000 crore ( 30 billion). The Indian Navy is currently operating only one full deck aircraft carrier, the INS Viraat, also the only one being operated by a country in Asia or Western Pacific. In a bid to become a true-blue water navy, the Indian Navy is expected to operate three aircraft carriers by 2015. The ship has a length of 260 m and maximum breadth of 60 m. The ship will be propelled by two shafts, each coupled to two LM2500 Gas Turbines developing a total power of 80 MW, sufficient to attain speeds in excess of 28 knots. The ship has an endurance of around 8,000 NM and complement of 1600. The ship will have two take off runways and a landing strip with 3 arrester wires. It can carry a maximum of 30 aircraft with adequate hangarage capacity. The carrier is designed with a very high degree of automation for machinery operation, ship navigation and survivability. The production of Indigenous Aircraft Carrier commenced in November 2006 and large numbers of blocks have already been fabricated, which are under erection. Major equipment to be installed in lower decks of the ship have been ordered. The ship is being constructed using high strength steel developed in-house with the help of DRDO and SAIL. Long Range Surface to Air Missile (LR SAM) system with Multi-Function Radar (MFR) and Close- In Weapon System (CIWS) is envisaged for the carrier. The ship will be equipped with the most modern C/D band early Air Warning Radar, V/UHF Tactical Air Navigational and Direction Finding systems. The carrier would also be having jamming capabilities over the expected Electro Magnetic (EM) environment, along with Carrier Control Approach Radars to aid air operations. Integration of all weapon systems onboard the carrier would be through an indigenous Combat Management System (CMS).The ship�s integration with Navy�s Network Centric Operations would provide force multiplication. Design of this prestigious ship has been undertaken by the Directorate of Naval Design (DND) which has an experience of over 40 years in successfully designing 17 different classes of warships, to which around 90 ships have already been built within the country. It is also pertinent to mention that DND is the only government organisation in the world today undertaking indigenous design of warships. Delhi class destroyers are the biggest warships built so far by indigenous design. These ships are operating successfully over last 10 years and have demonstrated their design superiority when INS Delhi withstood extremely adverse weather conditions and high sea states while encountering typhoons during the ship�s passage in the South China Sea in 1995. M/s CSL was chosen for building Indigenous Aircraft Carrier, based on its modern infrastructural facilities. Though this is the maiden venture for CSL in warship construction, the shipyard has been involved in commercial shipbuilding for the past three decades. In order to optimize on build period of IAC, CSL has been provided with over Rs 200 Crores to augment infrastructure in areas such as large cranes, workshops, heavy duty machinery etc. The ship construction is planned in two phases. The First phase covers work up to first launch in end 2010. The second phase would cover all balance work till delivery of the ship to the Navy in end 2014. Assistance for propulsion system integration and aviation aspects have been taken from M/s Fincantieri of Italy and M/s NDB of Russia respectively. india's approach to 40,000 tonnes of displacement is very balanced.China and pakistan has considerably bigger submarine fleet then indian submarine fleet counted all togather (think of worst case secnario that both have attacked). If the Indian Navy can stick to the current plan of having three aircraft carriers by 2020 (i should say must have) even with same or less displacement then we will possess a formidable advantage over the enemy in force projection. But rapid expansion of the enemy submarine force and the modernisation of the missiles they carry will be of serious concern to the Indian Navy. The Indian Navy’s power projection is second only to the JMSDF, and with the possession of an aircraft carrier. I have no doubt the IN is well on its way to becoming Asia’s best navy but that’s only if the government can get its act together asap. There needs to be a sense of urgency, the same kind the PLA displays. India can build its own nuclear powered aircraft carrier and warships, said the country’s top nuclear scientist. "Yes, we have the capability and technical expertise to build nuclear-powered aircraft carriers and war ships of global standards. When the government asks us to build such ships, we will do it," Dr Anil Kakodkar, chairman, Atomic Energy Commission (AEC), said on Sunday. He was addressing reporters at the Propulsion Reactor Project (PRP) site at Indira Gandhi Centre For Atomic Research (IGCAR), where INS Arihant, country’s first indigenous nuclear-powered submarine took shape. Disclosing that India has mastered the technology to build "light water reactors", Dr Kakodkar said, "INS Arihant is powered by a Light Water Reactor built by the scientists of Bhabha Atomic Research Centre (Barc). We have the capability to build big Light Water Reactors to meet the energy requirements of the country." The AEC chairman said that the kind of reactor built for the nuclear submarine could be used to electrify villages and remote areas not covered by the national grid. "We are not ruling out the possibilities of using such reactors for rural electrification. Though the cost of power production may be a bit expensive, we can always explore the possibilities for using this compact reactors for bringing light to the villages," he said. Dr Kakodkar said the commissioning of the first reactor at Koodankulam had been delayed. "It will be ready for fuelling early next year. The 500 MW fast breeder reactor will be ready for commission by 2011," he said. Dr S. Banerjee, director, the BARC said that the Light Water Reactor was more flexible than other reactors. "It can work 30 times faster than the conventional reactors," Dr Kakodkar said. This will help the Navy personnel to manoeuvre the vessel to speeds of their requirement," Atomic Energy Commission chairman Kakodkar said. IN has finalized its mid-long term requirement need for 5 AC`s .And a serious debate is going on if atleast 2 of them has to be made nuke powered or not. give the recent achievement of BARC in providing a compact and high efficient reactor for ATV,it is chest beating that It can upsize and modify the reactor if needed to be used in an AC.Long time back I put a few words on BRF as per what I came to know that BARC is also designing a compact AHWR for naval use. Since MOD and IN showed interest in having large carriers ,the 2 or 3rd indigenous one most likely be one the lines of either CVF or Nimitz. According to the sources which I had,I was told that before a reactor was to be fitted on a large carrier,It will be tested on else where. Which clearly hints me that the second IAC might see a propulsion change while the 3rd IAC will be large and go nuclear. And the above points summarizes that there will be atleast 5 carriers in the near future of which 2 will be nuke ones capable of carrying AWACS and large compliment of fighters. Hence we will be have 3 medium sized ones for defensive offence purpose while remaining will take care of strike roles far away from the mainland. 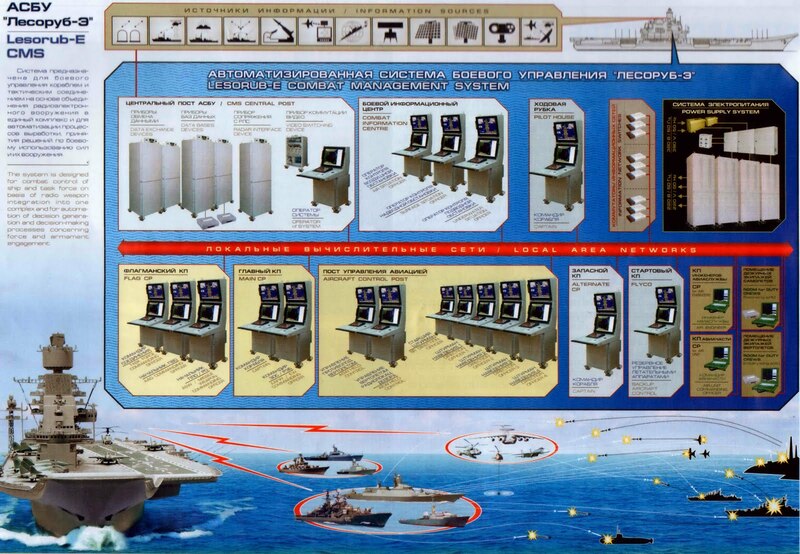 One has to look at the carrier needs of Russia at the same time which also proposed of having a whole flotilla.There could be some design consultancy or co-developments when large carriers are considered. indigenously built aircraft carrier, IAC-2, will be larger and feature heavier fighter aircraft. The IAC-2 could undergo some design changes, Naval Chief Admiral Nirmal Verma indicated while speaking to the press on Wednesday, December 2, ahead of Navy Day on December 4, 2009. He said a concept study by the Directorate of Naval Design is currently underway 'for more capable carrier-borne aircraft' for the IAC-2. The Navy is leaning towards a 50,000 tons carrier capable of launching heavier aircraft using a steam catapult, rather than the ski-jump on the Gorshkov / Vikramaditya. The Navy has earlier indicated it prefers the Electromagnetic Aircraft Launch System (Emals) on its new aircraft carriers. The Navy issued an RFI (request for information) to several global aviation majors, including American Boeing, French Dassault and Russian MiG companies, for 'an alternate deck-based aircraft' in November. "Information is being sought to acquire over 40 fighters for the 40,000-tonne IAC-1 (indigenous aircraft carrier), being built at the Cochin shipyard and expected to roll out by 2014-2015 now, and IAC-2, which will follow later," a source told TOI. For details of the Indian Aircraft Carrier project, please see knol. Commodore M. Jitendran was taking a chance when he took premature retirement from the Indian Navy and joined the Cochin Shipyard. A postgraduate in naval architecture from IIT Kharagpur and St Petersburg, he is a fellow of the Royal Institution of Naval Architects, London. What is the status of the IAC? The work is going on in full swing. We have completed more than 70 per cent of the fabrication of hull blocks. The concept design for the carrier with approximately 37,500 metric tonnes displacement, defining the overall ship dimensions, evolution of hull form, general arrangement drawings, structure, stability, weight and space analysis and hydrodynamic model tests have been completed. The project is behind schedule. Yes, we are three months behind schedule. We had to deal with the non-availability of high-grade steel. The issue has been sorted out and we expect to bridge the delay in the coming months. We will deliver the carrier on time. A Parliament committee said that in comparison to the US Nimitz class and INS Vikramaditya, the IAC stands nowhere in terms of dimension, displacement and aircraft carrying capacity. We are working on an evolving design. The Navy has shared only the basic design with us. They are constantly working on the features of the carrier to make it the best of its size in the world. For the last two decades Cochin Shipyard has been working on INS Viraat. Has that helped? We are proud of our regular work on INS Viraat. We have performed major overhauls on her. It has given us deep insight on carriers and has honed skills of our engineers. What kind of competition are you facing from foreign shipyards? There is immense competition from yards in the Far East and south-east Asia for commercial shipbuilding. Their cost and schedules are very challenging. So far, we have been able to match their performance and win orders globally. The shipbuilding industry in India has been ignored and there is very little awareness of its potential. We are 10 to 20 years behind in shipyard planning and infrastructure compared to shipbuilding countries like Japan. What are your plans to enhance the yard? We have planned a Small Ship Division project. It is essentially to create additional capacity for undertaking commercial ship construction concurrently with the IAC project. The yard also plans to diversify into niche hi-tech products. Our endeavour is to become an internationally competitive yard and to make India a dominant shipbuilding and ship-repair centre in the region. India�s biggest ship owner, the Shipping Corporation of India, has signed an MoU with the yard. What are the advantages? It is a win-win situation. The joint venture was a way of dealing with the global situation. It will help us to build ships at economical prices and plan a capacity expansion. It would guarantee business for both companies for several years. 1.4 India is one of the few nations operating an aircraft carrier STOVL Viraat, ex Hermes. 45,000 tonne STOBAR Vikramaditya, erstwhile Gorshkov, presently being refurbished at Russian shipyard Sevmash is likely to join the Indian Navy in 2012. 40,000 tonne STOBAR Indigenous Aircraft Carrier, designed in house by Navy’s own design organization and being built at Cochin Shipyard, is scheduled to join the Indian Navy by end 2014. 2.6 The French Govt. inspite of contemplating to have an additional medium sized carrier and accordingly participating in CVF programmehave finally pulled out considering enormous cost of acquisition. Other nations such as Russia, Brazil, Italy and Spain have no known plans to add to their aircraft carrier numbers. 3.2 A CTOL (Conventional Takeoff and Landing) carrier requires an angled deck to maximize separation between aircraft launch and recovery operations, high speed to generate additional wind across the flight deck, fresh water and steam generation facilities for catapult system. This arrangement facilitates simultaneous launch, recovery and high sortie generation but requires a plant to generate steam, achievable more conveniently for a ship with steam or nuclear propulsion. 3.3 Similarly, a STOBAR (Short Takeoff ButArrested Recovery) carrier requires a ski jump for short takeoff, a separated angled deck for arrested recovery and high speed to generate additional wind across the flight deck. STOBAR however has limitations, as the requirement of an angled deck recovery and a long takeoff run, make flight deck space demands that can only be satisfied by pretty restrictive cyclical flight operations. This however permits greater flexibility in the choice of propulsion system, i.e. steam, gas turbine, electrical or nuclear. IAC-1 development is complete and is being built as we speak. It is supposed to be launched this year or early next year and commissioned a few years after that. IAC-2 construction will start as soon as IAC-1 is launched and will be of a higher displacement. Development is nearing completion and as I said we are using Italian help. IAC-3 and 4 will be even bigger carriers of 65k tons+ displacement. IAC-3 and upwards may even be nuclear powered. If we go for option 1 or 2, we will have a carrier in 4 years and we are too. IAC-1 is supposed to be commissioned in 2014 followed by IAC-2 in 3 years. By 2017 we will have 3 operational carriers. India has long striven for a three carrier fleet, which would comprise itself of one carrier battle group stationed on each seaboard, and a third carrier held in reserve. This would enable Delhi, by rotating ships, to continuously protect both of its flanks, as aircraft carriers regularly require long periods of maintenance at berth. The struggles and travails that the Indian Navy has encountered while doggedly pursuing this goal, what with the seemingly interminable negotiations surrounding the purchase and modernization of the ex-Admiral Gorshkov, and the chronic delays in construction of the IAC, or indigenous aircraft carrier; have become somewhat emblematic of the sometimes frustratingly ponderous rhythm of India’s naval expansion. It would seem now; however, that Delhi’s long-sought quest for a three carrier force is at last edging towards fruition. Indeed, it was announced earlier this year, shortly before Prime Minister Vladimir Putin’s visit, that a price finalization for the future Vikramaditya, had finally been reached. The 44,500 ton ex-Soviet vessel, which is undergoing an extensive modernization, (70 % of the structure will be completely renewed) will carry 16 new MiG-29K aircraft, as well as an assortment of Kamov-28 and Kamov-31 helicopters. Now that the price has been finalized, the Vikramaditya is expected to arrive in late 2012 or early 2013. STRENGTHENING THE ELEPHANT’S HIDE: PROTECTING INDIA’S AIRCRAFT CARRIERS. An aircraft carrier is undoubtedly one of the most potent symbols of national power. This symbolic potency, however, can rapidly morph into a disadvantage, if the fear of its loss irreversibly damaging the nation’s morale prevents it from fulfilling its full spectrum of wartime capabilities. In the past, an unsavoury blend of political indecisiveness and inappropriate threat assessments have frequently stunted Indian aircraft carriers' tactical flexibility in times of conflict. During Operation Vijay, for example, which was conducted in 1961 and successfully wrested Goa from the Portuguese, the INS Vikrant was instructed to keep clear of the embattled enclave when a foreign submarine was detected. Similarly, in 1965, fears related to the INS Vikrant’s severe deficiencies in terms of anti-submarine warfare played a part in the decision to maintain her under refit. In 1971, the Vikrant was able to operate relatively unimpeded off the Bay of Bengal only because the Pakistani submarine PHS Ghazi had already been sunk. In 2002-2003, during Operation Parakram, the INS Viraat was hastily retrofitted with the Israeli Barak Anti-Missile System once it dawned on the Naval Headquarters that it would be particularly vulnerable to submarine-launched Harpoon missiles. The most recent existential threat to India’s carrier force takes the form of China’s newly inducted anti-ship ballistic missile, the DF-21, which can reportedly hit a moving target while travelling at a speed of Mach 10. Whereas before it would have been extremely difficult to locate and target a fast-moving carrier, China’s progress in the field of ISR, notably via satellite surveillance, has rendered such a feat increasingly possible. It would seem, however, that the Indian Navy is determined to break a historical pattern of being more reactive than proactive when it comes to dealing with menaces to its carriers, and it was recently reported that Lockheed Martin had held talks with Indian authorities regarding a potential collaboration with the DRDO, which would result in an integration of the future Prithvi Air Defence Shield (PADS) with the firm’s celebrated phased array AEGIS missile defence system. Although it is not yet certain whether the AEGIS system could ward off a DF-21 strike, it would certainly provide the Indian fleet with a greater degree of anti-missile protection. An abiding concern however remains the prohibitive cost of such a system, as it is estimated that equipping a Kolkata class destroyer with an AEGIS defence system would more than triple its cost. India’s Maritime Military Strategy lays out a wide gamut of roles for the Indian Navy in times of war. It is stated, for example, that it will be expected to perform operations ranging from “distant credible sea denial over large areas of the Indian Ocean” to “distant sea control in selected areas of the Indian Ocean to protect economic interests and mercantile traffic”, to conducting “phased operations”, which will result in the use of maritime power to support land or air-borne strikes. India’s carrier fleet will therefore have to display a high degree of tactical flexibility. This can be accomplished in part by reconfiguring the vessels’ air wings depending on the nature of the crisis at hand. A flotilla of Chinese submarines could be met by an eastern carrier fleet more heavily geared towards anti-submarine warfare, with a flight deck comprising a greater number of maritime patrol aircraft or Seaking and Kamov ASW helicopters. An anti-piracy operation in a large body of water may require less strike aircraft and more maritime surveillance capabilities in the shape of patrol aircraft or UAVs. MARCOS commando strikes could be facilitated by increasing the number of helicopters aboard, or by grafting specific Special Forces ammunition and equipment modules. Aircraft carriers can prove to be extremely valuable assets when responding to humanitarian emergencies or engaging in NEOs (non-combatant evacuation operations). A carrier can provide a self-generating supply of fresh water, medical assistance or engineering expertise to populations in dire need, and have revealed themselves time and time again to be vital humanitarian platforms. The participation of the INS Viraat to the 2004 tsunami relief effort comes to mind, as does the recent action of the USS Carl Vinson off the coast of Haiti. Much can be done, nevertheless, to further bolster a carrier’s humanitarian response skills. First, of all, the air wing can be reconfigured in order to field more helicopters, as well as vertical lift aircraft, such as the recently upgraded Sea Harriers, which can gain access to rough terrain. Secondly, medical modular facilities can be installed onboard in order to enhance the carrier’s medical responsiveness. Finally, a command center can be set up so that key government personnel and civil response teams can coordinate their efforts via the carrier’s communication systems. This could be extremely useful in the event of the disruption of landlines or the destruction of government offices for example. In less than a decade, India’s naval force structure will have undergone a seismic shift, able to continuously deploy carrier groups on both seaboards. In order for the Indian Navy to efficiently project both hard and soft power throughout the Indian Ocean Region, its commanders will need to display a degree of strategic flexibility by learning how to leverage the many uses of Indian’s new aircraft carriers. Only this way will they prove themselves to be the formidable force multipliers, both in peace and war, required to lead the Indian Navy into the XXIst century. India is constructing two 40,000 ton aircraft carriers. The ship will feature a complement of 1,600 personal and be capable of carrying a 30 aircraft comprising MiG-29K / LCA Trainer, ALH Dhruv and Ka-31. The aircraft carrier will feature a ski jump like the INS Vikramaditya, instead of a steam catapult, for assisted takeoffs. Cochin Shipyard Ltd (CSL) designed 70% of the ship, starting in 2001-02. It used an Italian company, Fincantieri, as design consultants for integrating the propulsion system, while a Russian firm, NDB, is contributing aviation technology. Fincantieri delivered the 30,000 ton aircraft carrier Cavour to the Italian Navy in 2008, which is powered by four General Electric LM2500 gas turbines generating a total of 80 MW of power. The same engines will power INS Vikrant, which will have have two shafts, each coupled to two LM2500 gas turbines. Construction started in 2006 but the keel of the ship was officially laid on February 28, 2009, by Defense Minister AK Antony in the presence of Admiral Sureesh Mehta, Chief of the Naval Staff. As of November 2009, nearly 10,000 tonnes of steel has already gone into the ship's hull. The ship will be launched by October 2010, as per the phase I contract signed by CSL with the Defense Ministry. The phase II of the contract will end with the delivery of the ship to the Navy by the end of 2014. Work on IAC-2 is expected to start before the first one is delivered to the Navy. The 260 meters long and 60 meter whide ship will have a speed of 28 knots and an endurance of 8,000 nautical miles. The carrier will field long-range surface-to-air missile systems with a multi-function radar, a close-in weapon system, the most modern C/D band early air-warning radar and the V/UHF tactical air-navigational and direction finding systems. It will have jamming capabilities over the expected electromagnetic (EM) environment, along with carrier control approach radars to aid air operations. Integration of all weapon systems onboard will be through an indigenous combat management system. The ship’s integration with the Navy’s network-centric operations will provide for force multiplication. The Navy plans to equip IAC-1 with a mix of MiG-29K / LCA Naval Variant currently under development at ADA. However, in view of the slow progress of the LCA project, the service is actively looking at alternatives. It has ssued an RFI (request for information) to several global aviation majors, including American Boeing, French Dassault and Russian MiG companies, for ‘an alternate deck-based aircraft’ in November. ‘‘Information is being sought to acquire over 40 fighters for the 40,000-tonne IAC-1 (indigenous aircraft carrier), being built at the Cochin shipyard and expected to roll out by 2014-2015 now, and IAC-2, which will follow later,’’ a source told TOI. The IAC-2 could undergo some design changes, Naval Chief Admiral Nirmal Verma indicated while speaking to the press ahead Navy Day on December 4, 2009. "We are re-looking at the design. It won't be a copy of what we have today." As mentioned above, the Navy is already looking at aircraft that could replace the MiG-29K / LCA Naval Variant.